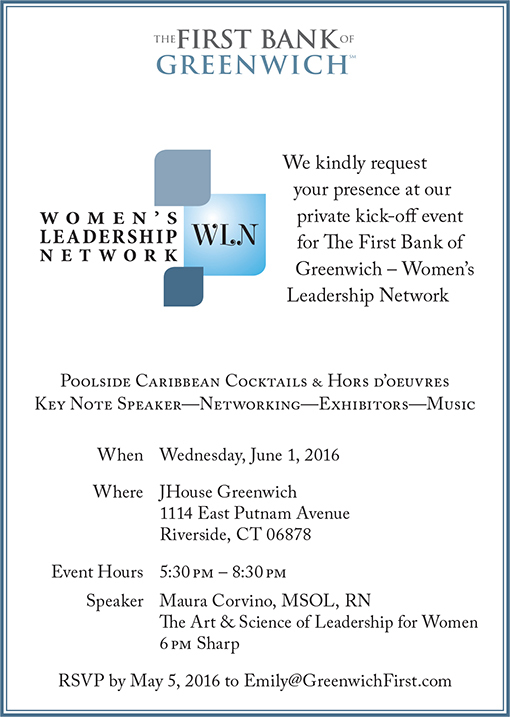 The mission of The First Bank of Greenwich Women’s Leadership Network was created to provide an environment with opportunity for women in our community to come together and exchange ideas, share business tips and engage in positive conversation to spur creativity and leadership. As we support one another in our business & philanthropy endeavors we encourage partnership that builds bridges for success. 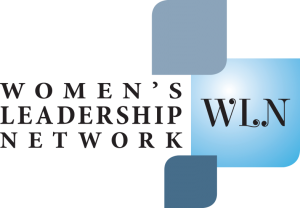 WLN will host one annual event, where members will present compelling talks of varying topics and smaller events that will offer one on one discussion. 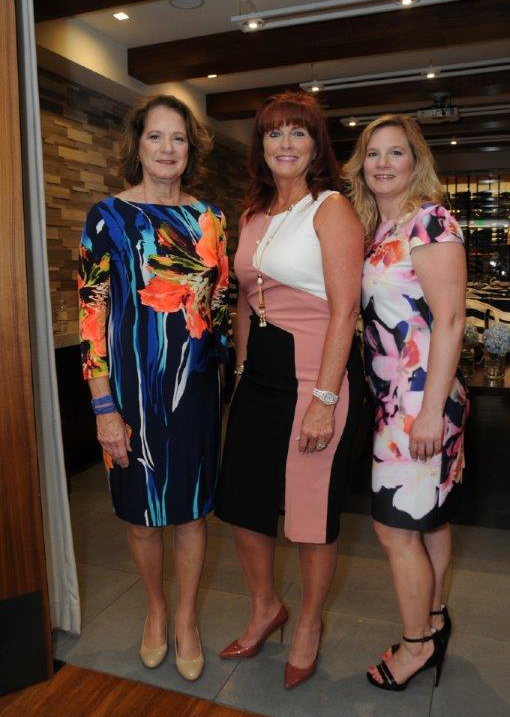 Our vision is to become a resource in our community to empower women to higher goals. Please check back for the date of our 2018 event.